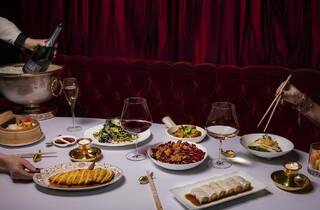 Supremely elegant Chinese food set in a 1930s jazz lounge. 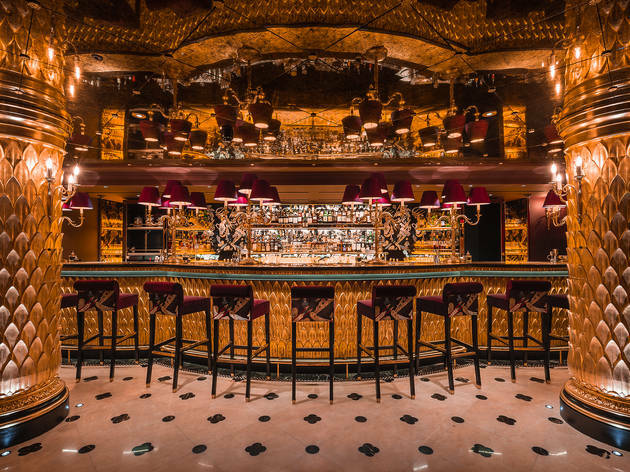 Park Chinois is so atmospheric, I wasn’t sure if I was in Mayfair, or if I’d travelled through time and space to 1930s Shanghai. 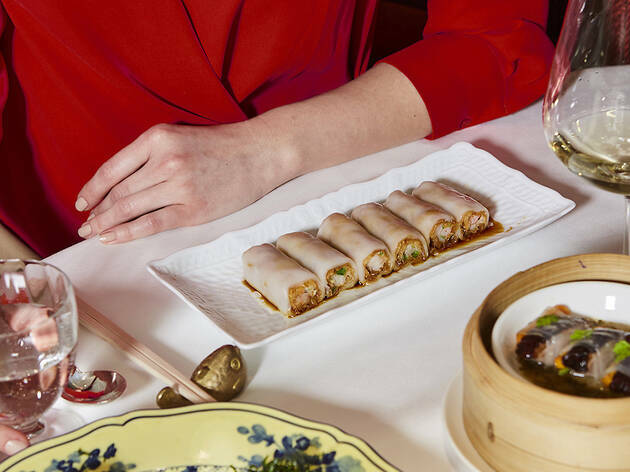 If its fancy Berkeley Street neighbours are the Joneses, then Alan Yau’s beautiful new restaurant is more than keeping up. Impressions were spotless from the off. As you walk up the stairs to the entrance you’ll be greeted by a bright pink cherry blossom tree and a wonderfully enigmatic doorman. 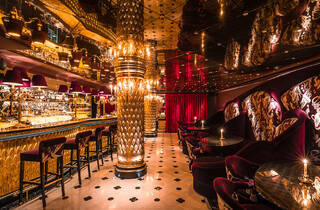 Entering the lobby, you’re disarmed by a wall of heat from the roaring fire and a host of charming, well, hosts. 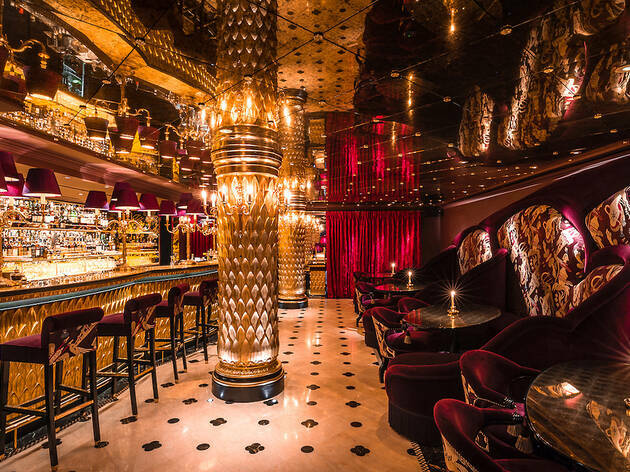 Led into the restaurant proper, you’ll find yourself in an atmospheric jazz club; covered in rich red velvet and with an abundance of fringing, heavy swathes of taffeta draped over the curtains, with lounge style tables and curved chairs positioned towards a jazz quartet. 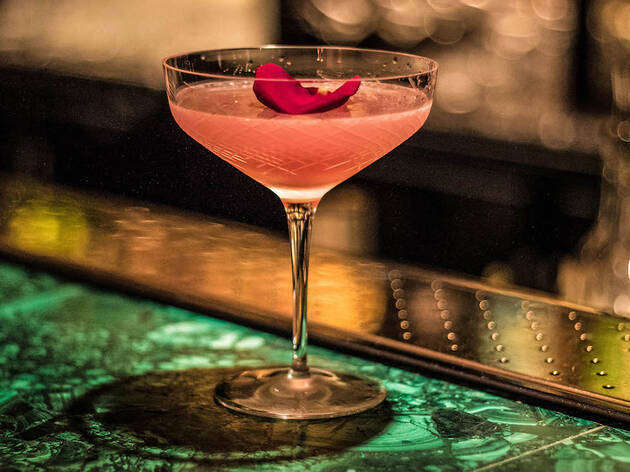 It’s the perfect location for a date – instead of pretending to care how someone’s day was, you can sit next to each other in comfortable silence while the jazz plays. And whether you decide to live out some sort of ‘Lady and the Tramp’ fantasy or not, order the park carbonara – slinky udon, rich orange yolk, umami-packed sea urchin, pansies and nori dust. It was a brilliant, Asian ode to the classic Italian dish. 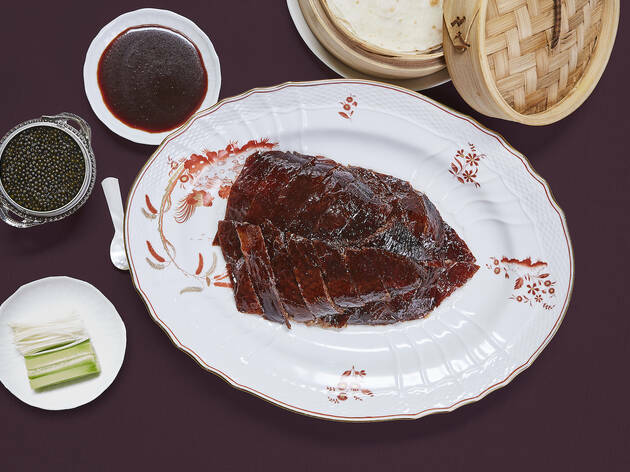 Elsewhere, the famous duck, though incredibly full-flavoured, was cut into chunky pieces rather than being shredded – best reserved for dinner with friends as it’s not particularly conducive to ladylike eating. 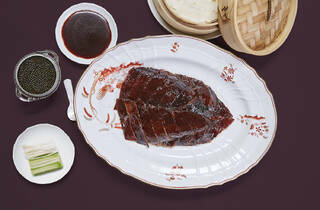 The same goes for the delicious smoky ribs. 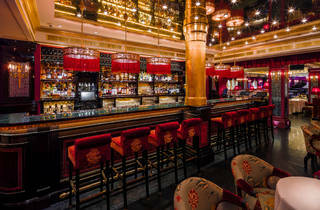 With a theatrical setting, clever cocktails, thoroughly charming staff and a relaxed atmosphere, especially given how high-end it is – Park Chinois, I get a kick out of you. 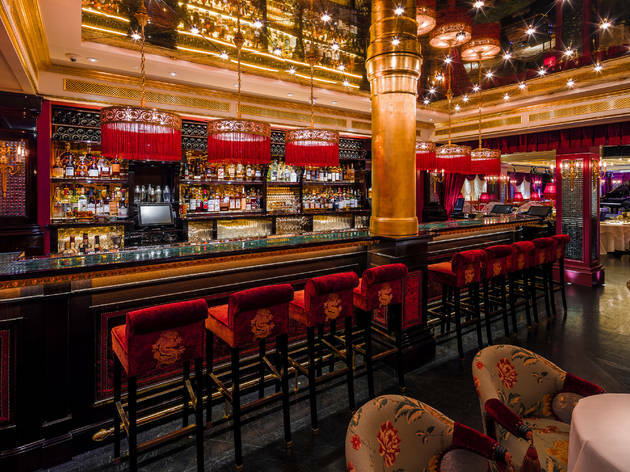 Behind the red doors in Mayfair is the iconic Park Chinois. 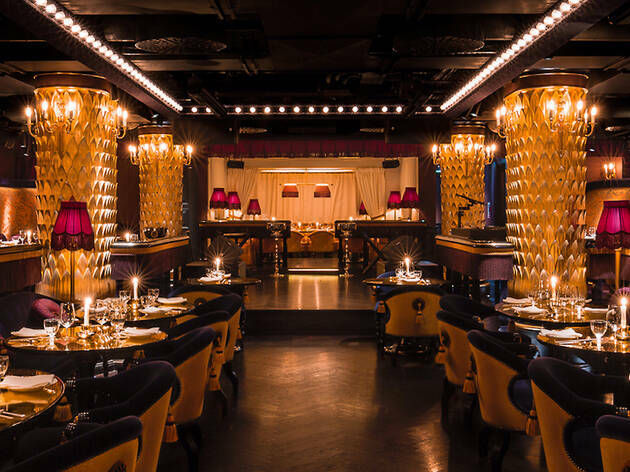 An opulent dining venue that pays homage to the glamour and decadence of 1930's Shanghai. 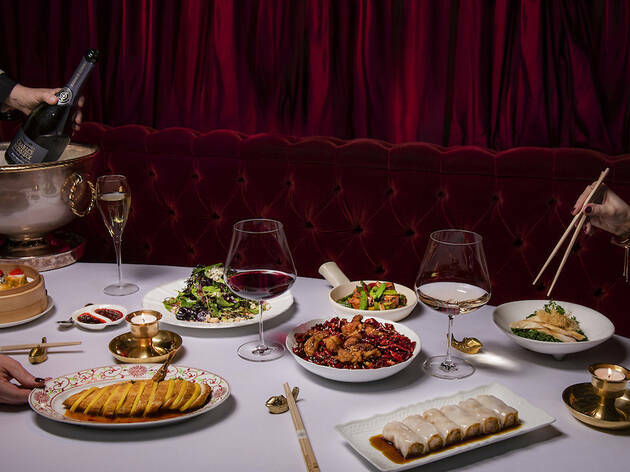 Park Chinois offers two distinct dining experiences, on the ground floor you will find, Salon de Chine, serving bold Chinese cuisine and exquisite drinks in arguably London's most opulent dining room. 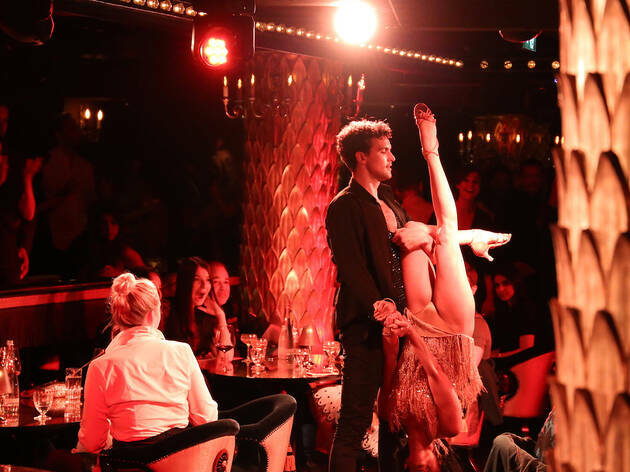 Then downstairs is Club Chinois, the hub of entertainment-dining, serving great food and drink alongside live performance and DJ's. 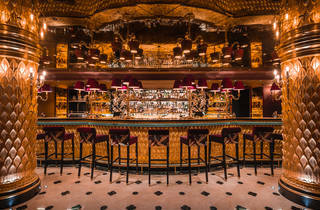 Park Chinois also benefits from two beautiful cocktail bars, perfect if you are after a drink and some dim sum. Open 7 days a week. 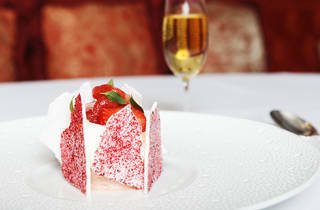 Dinner for two with drinks and service: around £200. 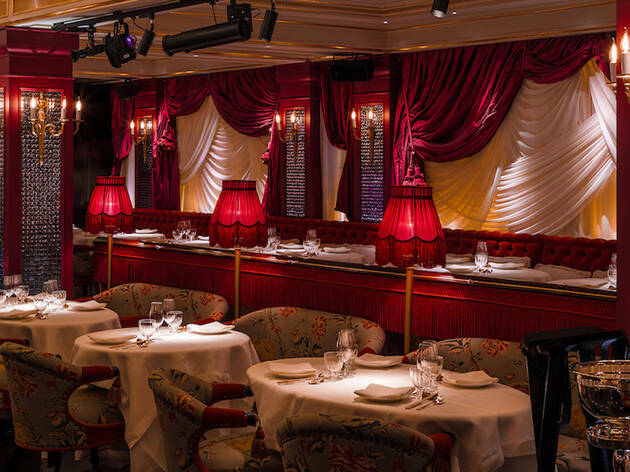 Park Chinois is one of the fanciest restaurants that I have had the pleasure of dining at. This is a place for a special occasion and the prices definitely reflect it. However, you get what you pay for and the food is top notch. It isn't authentic Chinese food but that is not what they are trying to do. 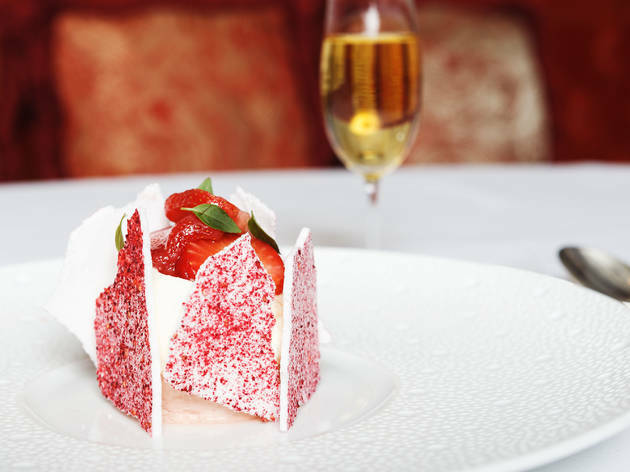 I love the modern twist on many of the dishes and I highly recommend approaching the place with an open mind. Finally the service is top-notched and is easily one of the best experiences in terms of service I have experienced in a long time. I don't know when I will next be back but I know it will be special. 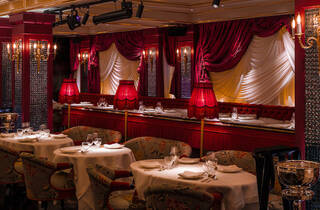 Opulent setting, full of grandeur, that's what you can expect to find here. We came here on a Sunday for dim sum lunch. Had a variety of Dim sum and I must say they are beautifully made and well presented. However taste wise, I don't think it's very much different from other restaurants where you can eat at cheaper prices. Congee with century and duck egg is good and is probably the only good dish that you can't find elsewhere. Desserts weren't traditional Asian as we thought it would be but nevertheless I actually think they are the saving grace for the price you pay. Do try the pear crumble, it was absolutely stunning. The Live jazz Music was good, all of us enjoyed it so it made the £5 service charge worth it. I will recommend this place for dinner and date night, dim sum lunch is not value for money. There seemed to be a nice bar and club downstairs as well so it could be better for dinner time. I went here as an end of year treat with my partner and we had a great time! This is an all in one location, live music, restaurant, club, bar. 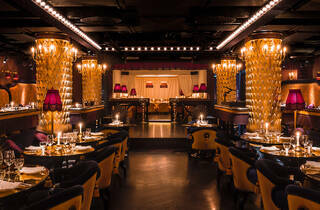 It s extremely opulent and needs to be treated as a special night out. Cheaping out here is not the point. Now you can have a relatively reasonably priced meal if you study the menu beforehand and are strategic. However, my partner and I did not do this. We had some dim sun to start which was nice and the duck as a main to share. I would say the duck is best sampled in a group of 4. For 2 of us it was a bit too much. But boy is the duck good! The biggest let down of the meal was the deserts, I cannot remember them as they were not that good. 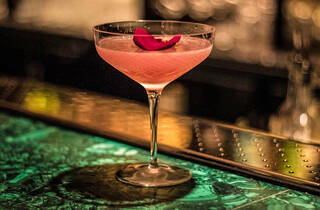 The live music is impressive, and after our meal my partner and I cozied up to the bar for cocktails our what was meant to be one nightcap. We were so enchanted by the barman that we ended staying for 3 cocktails! It is easy to hemorrhage money in here, but I would not complain. It is is so nice to have a venue like this in London. It feels so special and will go again, with enough distance to willfully forget how much we spent last time. Great staff, good food and amazing music.